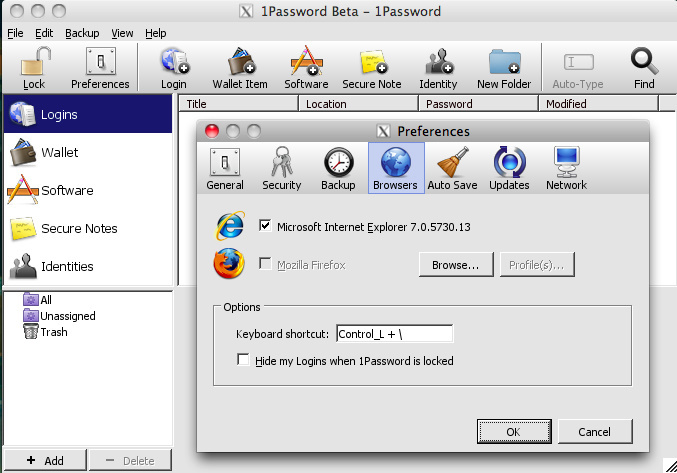 1Password for Windows has been a dream of ours for a long time and we're thrilled to open beta testing to everyone! This is a beta so you should expect missing polish and bugs. Testers are encouraged to backup their data regularly while testing. If you want to be on the cutting edge and enjoy reporting issues, come on in! Supported Systems 1Password for Windows requires XP, Vista, or Windows 7 and supports IE 7+ and Firefox 3+. If you are syncing with Mac you will need to upgrade to 1Password 3 for Mac first. 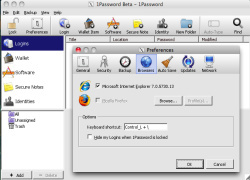 See upgrading to 1Password 3 for details. Data Syncing DropBox is recommended to sync your data between your PCs and Macs. See Syncing with Dropbox for details. 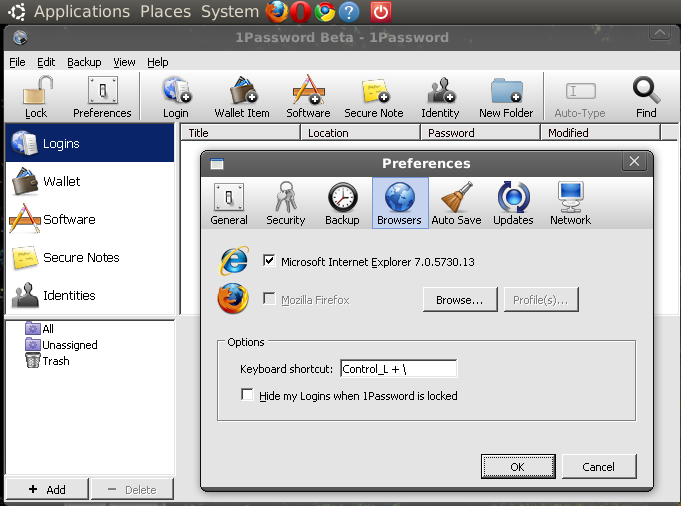 CrossOver 9.1.0 I bet you can share the same key with the mac version that way you can browse on IE with your passwords handy.